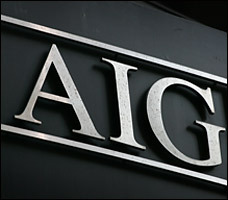 Are members of Congress benefiting from the AIG bailout? In the first segment of today's show, Marc spoke with Congressman Elijah Cummings (Maryland's 7th District) on the issue of the millions of dollars in bonuses set to reach many AIG executives and nearly 30 members of Congress. Is this how our hard-earned tax dollars should be utilized? Are members of Congress benefiting from the AIG bailout? In the first segment of today’s show, Marc spoke with Congressman Elijah Cummings (Maryland’s 7th District) on the issue of the millions of dollars in bonuses set to reach many AIG executives and nearly 30 members of Congress. Is this how our hard-earned tax dollars should be utilized?